A standard pet crematory service provider may base their rates on the comparative size of the pet to be cremated. With this in mind, you will find that cremating pocket pets such as birds or reptiles may be least costly. In turn, bigger pets like goats, pigs, and horses stay as more expensive to cremate. For dogs and cats, prices usually vary between $50 to $200. On average, crematories may charge as low as $40 to cremate any of those pocket pets mentioned. As expected the charge rises for the bigger pets – price ranging anywhere from $200 to $2,500. 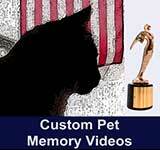 If you have a pet cremation service offered near your area, give them a call and ask about their prices. A Communal Cremation, which involves more than one pet being cremated at the same period, may cost around $50 to $65. Some pet owners don’t mind this, as it lowers the overall cremation cost as opposed to having separate cremations. A Partitioned Cremation involves cremating several pets at the same time as well, but uses physical barriers such as bricks or trays to separate the ashes. Prices vary from smaller to larger pet sizes, with an average range of $90 to $200. Private Cremation, as you can probably guess, is done exclusively for just one pet. This is typically the most costly type of pet cremation, with price ranging from $120 to $300. Should You Cremate Your Pet? Opting for pet cremation can make life easier for grief-stricken owners. By cremating the animal and putting their ashes into an urn or some other container, owners can create a physical memorial to remember their pet by. As far as traditional “burial” styles go, sometimes pet cremation is also the only option. Why? Several communities do not permit homeowners to bury their pets within private or public property, due to the risks associated with digging and hitting gas lines, sewer or other underground utility. In these cases, pet cremation is the only traditional option available. While pet cremation may cost you more money than other options, it guarantees that you get to keep the remains of your loving pet. 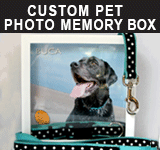 As far as pet memorials go, there are plenty of other options available to you today. If you’re open to them, they can save you a lot money and be just as beautiful. If you are looking to save money, one of the best ways to handle the pain created by pet loss is by creating an online pet memorial. We stand by the service we offer on IlovedMyPet.com, as it’s a free way of helping pet owners deal with their losses by leaving their stories, pictures, and more. There are plenty of other physical options as well, a common one being pet cremation or memorial jewelry. Here a jewelry piece can memorialize your pet, and in some cases you can even have their ashes infused into the art piece – it’s a touching and modern way of remembering your companion. Whether you opt for pet cremation or another service, we wish you the best of luck and offer our condolences for your loss. That makes sense that costs can be based on pet size. It will take more resources the larger the animal is. This seems like a good way to remember a pet when they’re gone. I appreciate the information about how bigger animals like horses are more expensive to cremate. My daughter is studying abroad for two years, and her favorite horse died a few days ago, so I want to send her his ashes so she can have him with her. Now I know that horse cremation services are more pricey, I can financially prepare myself for the cost. It’ll be worth it if my daughter can mourn her favorite pet. My dog passed away, and I’m not sure what to do. I didn’t know that cremation was an option. That seems like a good way to keep a memory of him in my home.